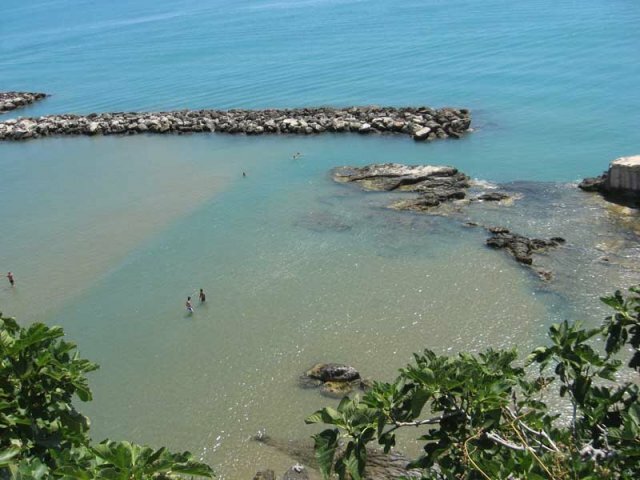 Vieste, thanks to its favorable geographical position is one of the busiest maritime lapped by the waters; Indeed, both from north and south, Vieste enjoys spacious and beautiful beaches to explore. Typically tourist beaches, such as those of Lungomare Enrico Mattei, alongside most wild and pristine beaches, such as the beach or Vignanotica Ripa. 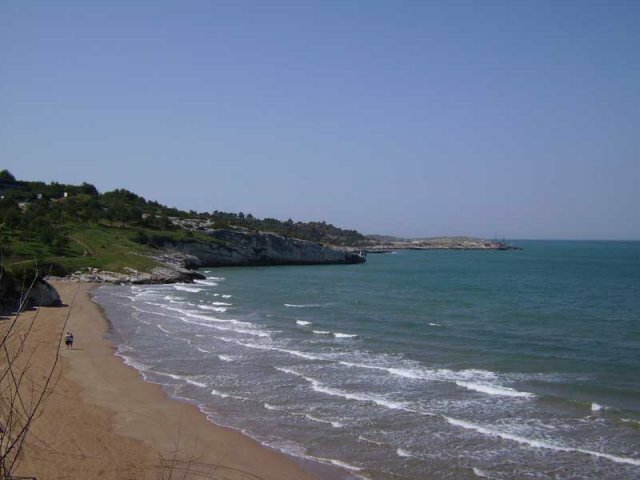 The Lungomare Enrico Mattei, is located south of Vieste. On the waterfront stands the impressive Pizzomunno, or a monolith of about 30 meters high, the result of the erosion of the cliff face over the years. 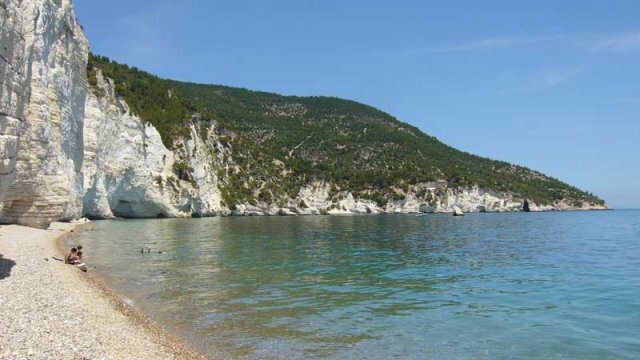 The waterfront E. Mattei, naturally sandy, about 3 km, has beaches and beaches. To the north of the country we find the Lungomare Europe, about 1.5 km long and is the closest beach to the Hotel Club Bellavista. Also on this coast arise equipped beaches and areas of public beach. 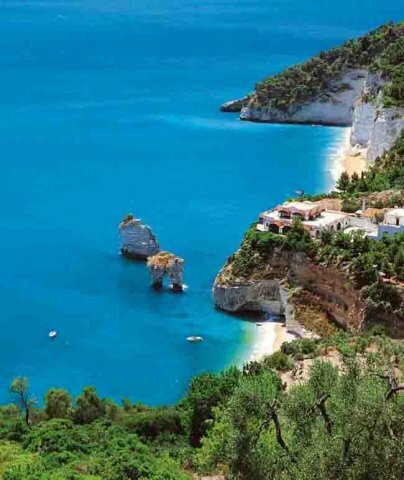 Particularly fascinating are also the beaches of San.Lorenzo, on the coast road Vieste- Peschici about 1 km from the village, Vignanotica Beach which is located on the coast road Vieste-morning about 20 km from Vieste, the pebble beach of the Baia Campi, the Zagare Bay and the beach of Ripa. The latter is located in the historic center of the country lies between ancient buildings. 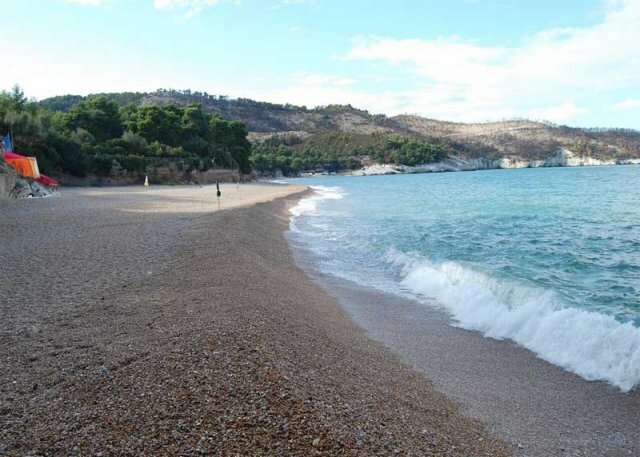 This beach for years was the exclusive preserve of the inhabitants of the old town, but a few years has become one of the most popular beaches frequented by tourists, because of its location which makes it a little bay sheltered from this current sudden, the water clear and deep in some places and the shallow water and soft in others. Gradually moving from the country, both to the north and true south, you can enjoy a large number of coves, bays and beaches, you just have the desire to explore this beautiful seaside town.